Lahore: Remington Polo outpaced Guard Group by 5-3 to book berth in the Treet Polo Cup 2017 main final against Dewa’s Own while Dawood Group outclassed Black Horse Paints 10-3 to quality for the subsidiary final here at the Lahore Polo Club ground on foggy Friday. 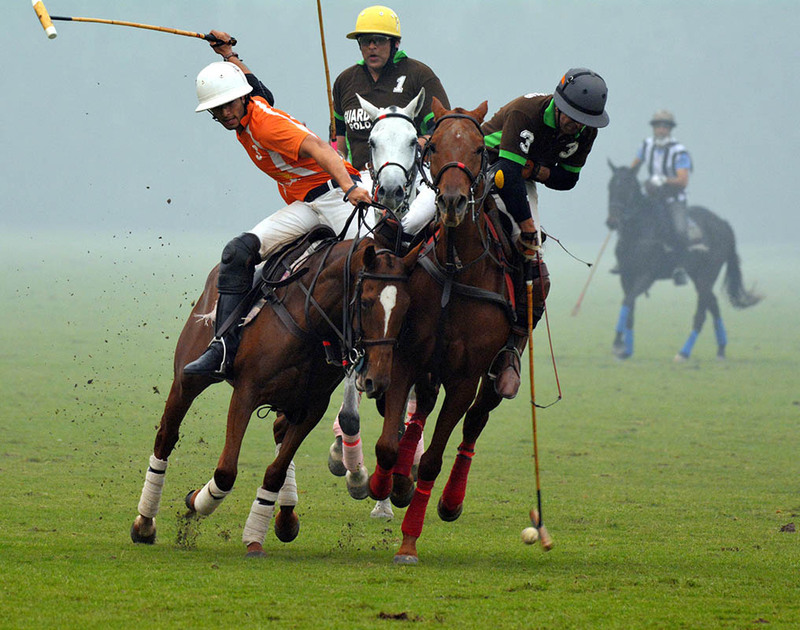 In the crucial match of the day played between Remington Polo and Guard Group, the former emerged as winners by a margin of 5-3. Bilal Haye and Bilal Hayat Noon were the major contributors in Remington Polo victory as both scored a brace each while Agha Musa Ali Khan added one in the tally. From the losing side, M Samir Malik converted two goals and Taimur Mawaz Khan one. Guard Group started the match convincingly through a field goal by Taimur Mawaz Khan but Remington polo drew the blood soon by converting a spot penalty successfully through Bilal Hayat Noon. The first ended in 1-1 draw. Samir Malik once again gave 2-1 edge to Guard Group in the second chukker by converting a fabulous field goal, but they couldn’t get benefit of this lead and failed to score further. Remington Polo made a strong comeback in the third chukker by hammering a hat-trick – one goal each was thwarted by Bilal Haye, Agha Musa and Bilal Noon – to take an unassailable 4-2 lead. Guard Group then tried their best to bounce back and succeeded in converting one through Samir Malik to reduce the gap to 4-3, but it was all they could get from the match. In the dying moments, Bilal fired a fantastic field goal to steer Remington Polo to victory. Another encounter of the day saw Dawood Group thrashing Black Horse Paints by 10-3. It was one-man show by Dawood Group, who dominated the entire encounter with great style. 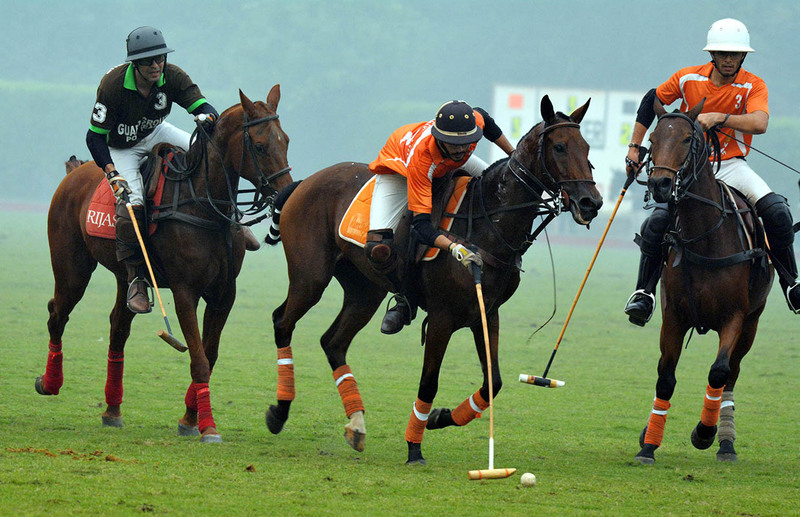 They hammered two goals each in first two chukkers and then thwarted three goals each in the last two chukkers to register a thumping win over Black Horse Paints, which had two goals handicap advantage while they scored a lone goal in the last chukker. Sardar Mohsin Atta Khan Khosa was in sublime form and gave the best performance with his horse and mallot by firing fantastic five goals while Azam Hayat Noon(two goals), Abdullah Dawood (two goals) and M Usman (one goal) complete the tally for the victors. The main and subsidiary finals will be played on Sunday, 12th Of November 2017.